Motivate all year long with an employee of the month program that truly shines. 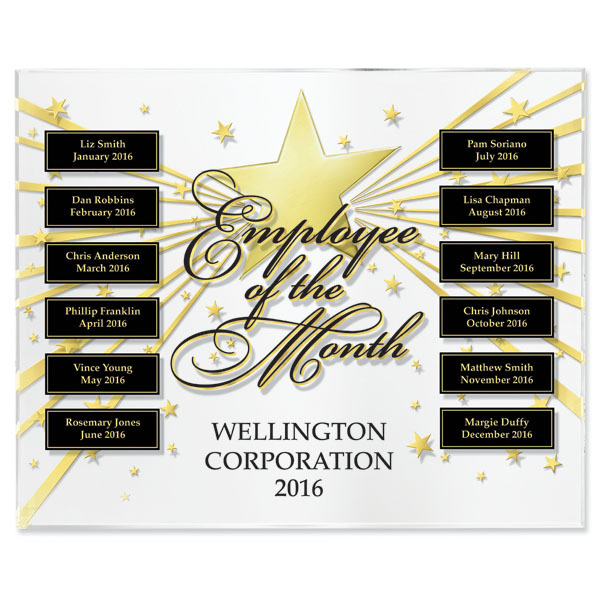 A shimmering gold star design printed on the front and back of this beveled annual plaque gives the thick, clear acrylic an outstanding three-dimensional look. Check out the Star Studded Employee of the Month Premium Program that includes an engraved award for each month's winner -- click here.